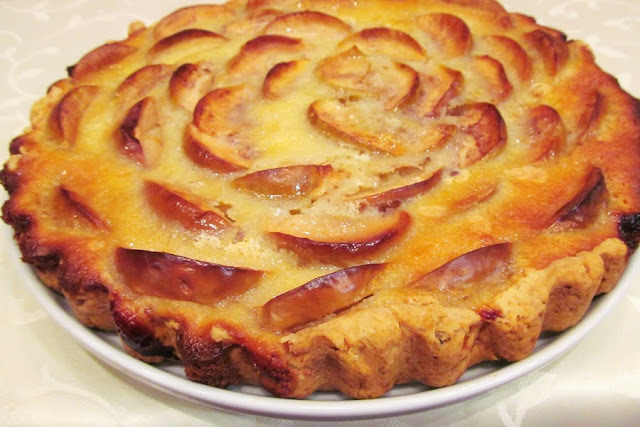 Frankly speaking, the actual name of this wonderwork is Apple Pie by Tsvetaeva Sisters (well, I made up this name, because it's impossible to give literal translation). 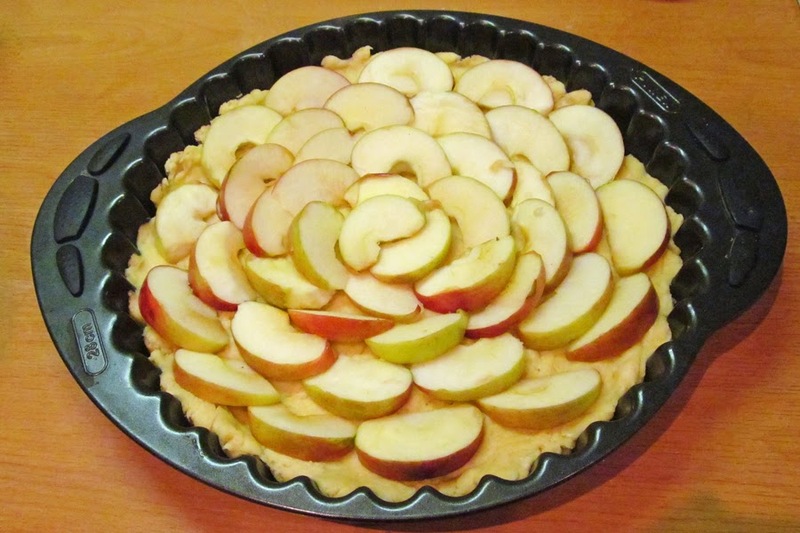 The pie takes its name from famous Russian poetess Marina Tsvetaeva and her sister. According to the legend, Marina and Anastasia liked organizing literary evening and treated their guests with this baking. 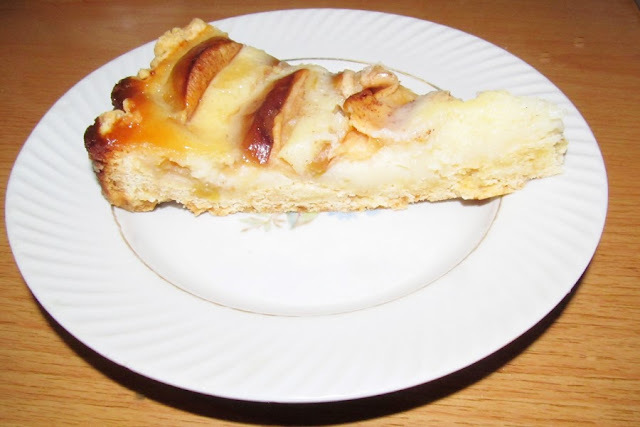 Looks like, Marina Tsvetaeva left not only numerous works, but the recipe of this masterpiece as well! Dough - melt butter and cool a bit. 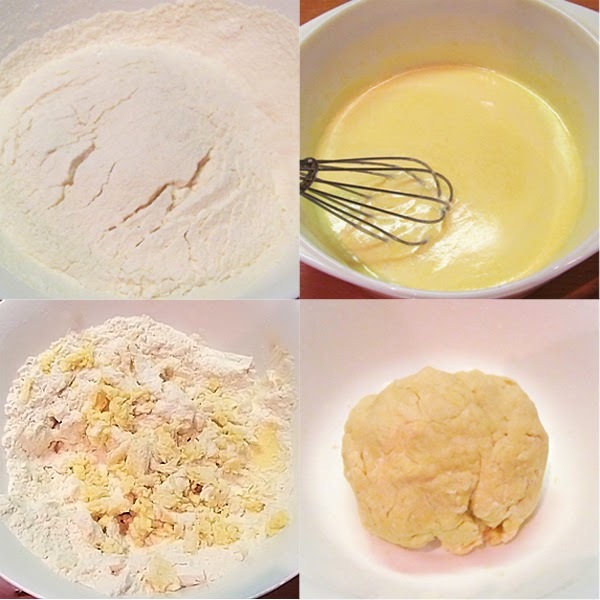 Mix flour with baking powder. Put sour cream and melted butter in a large bowl. Mix until it's a homogeneous mass. Gradually add flour with baking powder and knead the dough. 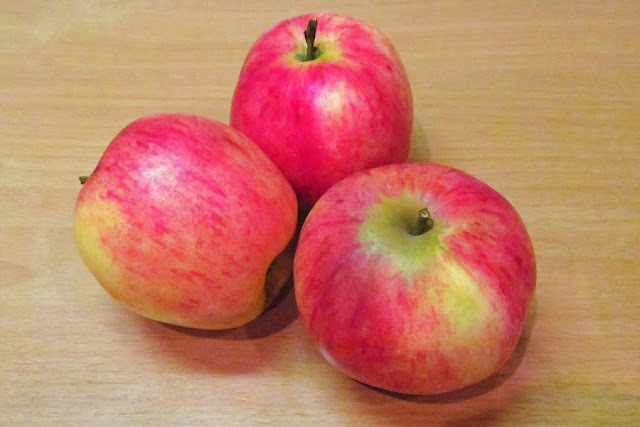 Filling - wash, dry and cut apples into thin slices. 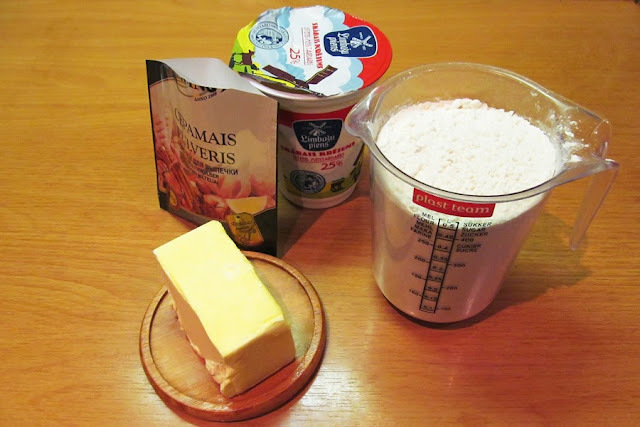 Sour cream filling - put sour cream in a bowl, add sugar and vanilla sugar, mix it all together. Lightly beat an egg and add into sour cream-sugar mixture. Gradually add flour and stir to avoid lumps. Mix the whole mixture once again. 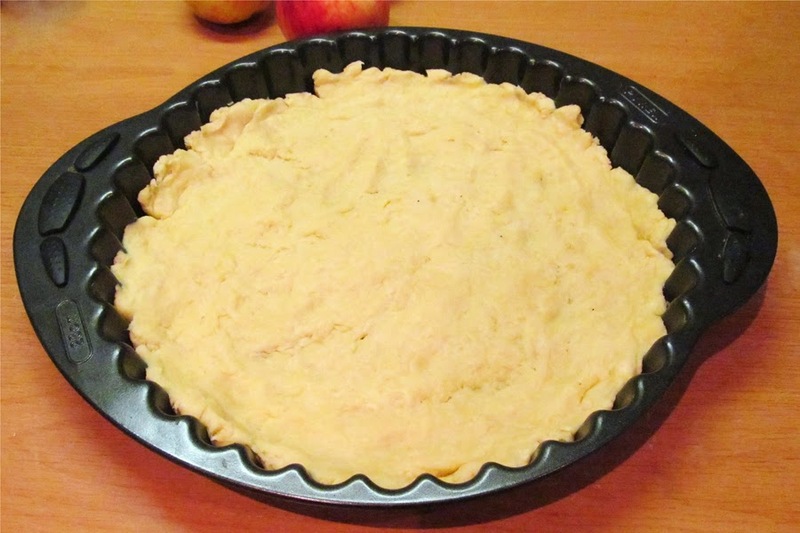 Spread the dough evenly in baking tin. 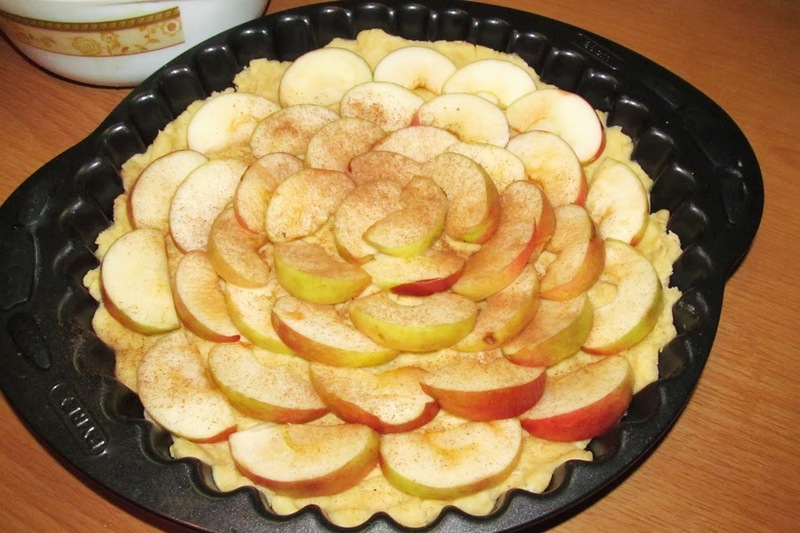 Put sliced apples on top. 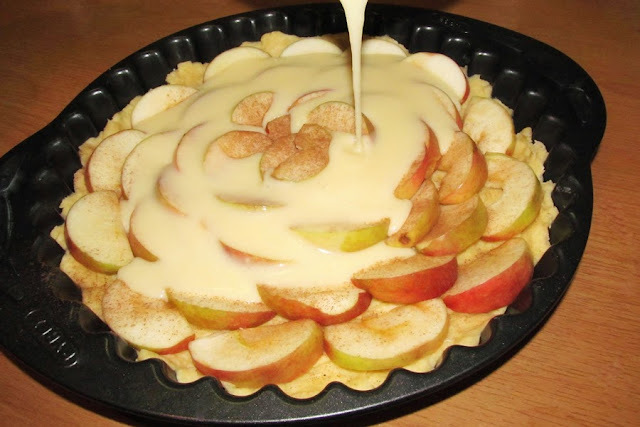 Pour the sour cream filling on top of apples, gently shake the from so that filling spreads evenly. 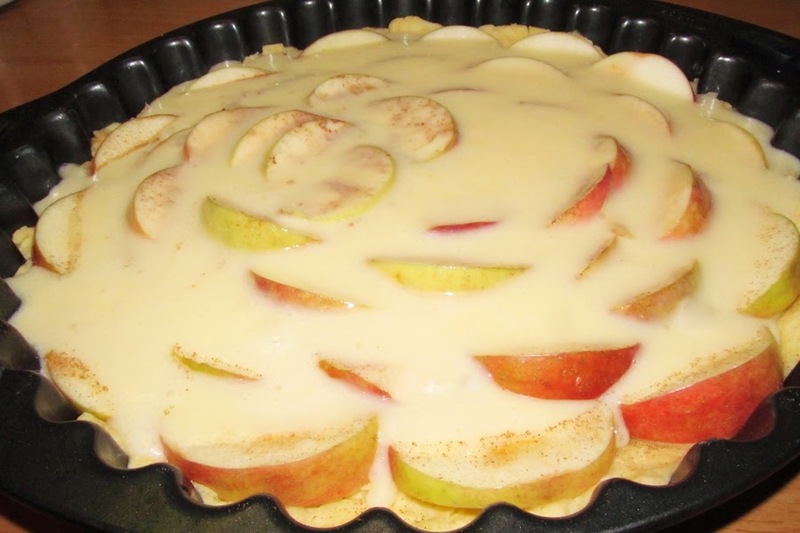 Bake an apple pie in pre-heated (180°C) oven for about 50 minutes. Pie can be served or cooled.